Laura Castetter has a 10+ year working relationship with this international architecture firm. 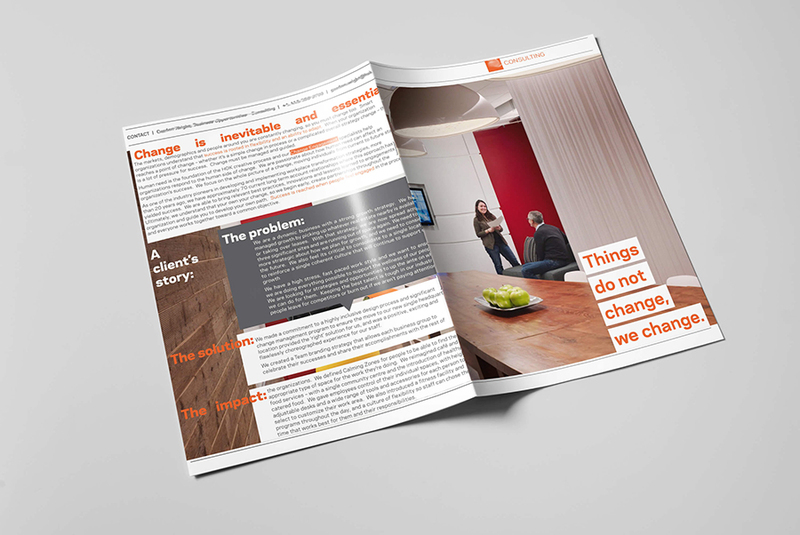 After 10 years, it was time for their Consulting group to revitalize the brochures they used to promote themselves to clients worldwide. LC was hired as a special consultant to lead the entire effort and to produce the new brochures. After a series of interviews and brainstorming sessions, we created a series of six print brochures and six email brochure presentations. 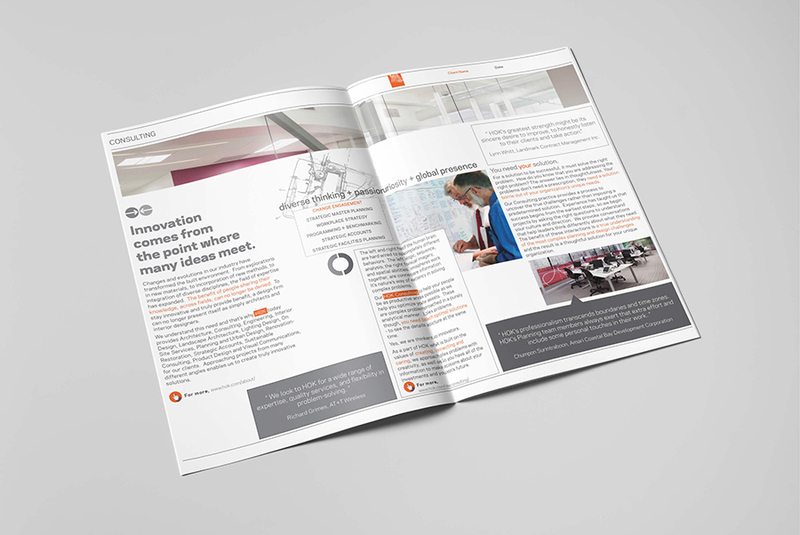 The leaders of each office wanted to be able to produce specific brochures for specific clients, while maintaining the design and branding of the brochure. So, special to this project was an entirely new kit-of-parts concept. We created a digital kit with all of the possible brochure components and customizable templates, so each person could create their own brochure with specific content. 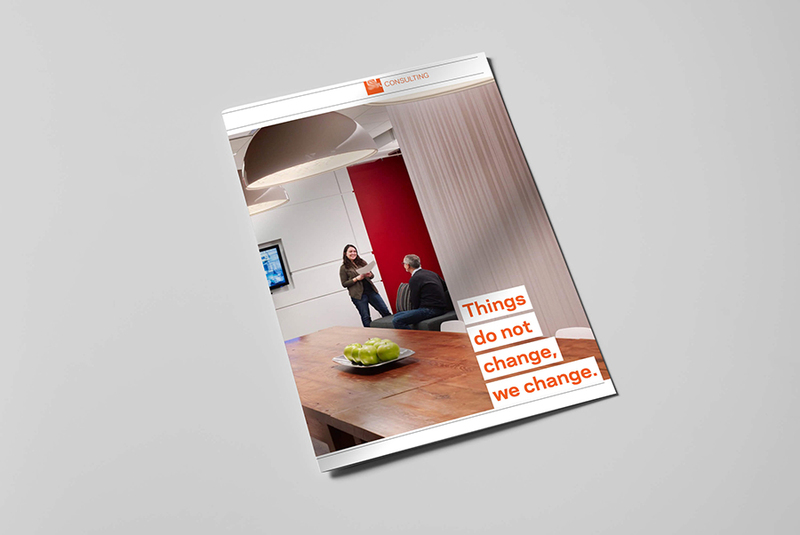 Both the print and digital brochures have already been used and highly regarded throughout their offices.